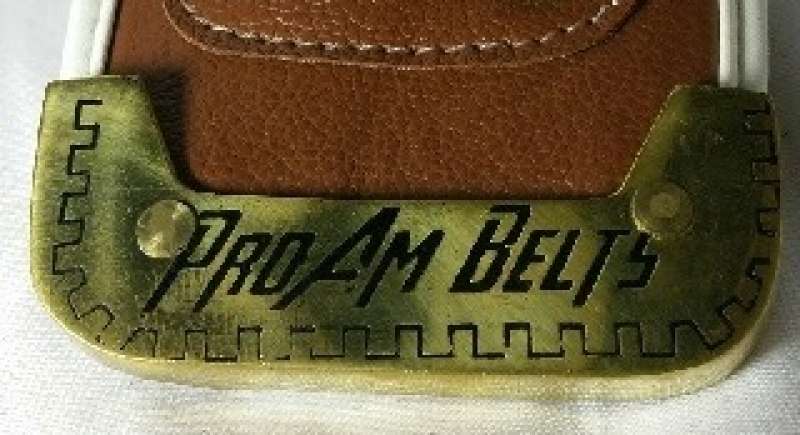 While many try to copy and "steal my flow", we at ProAmBelts are the ORIGINAL custom Football strap championship fantasy belt creators, so pay attention and be careful because it's patent pending for our Fantasy Football Belt with the Football material strap. ProAmBelts... better materials... better belts! When you have superior design, superior quality and a superior price you earned the right to be called number one! MVP Championship Belt IS without a doubt has earned that right. The belt is almost perfect in every area. The belt features our new sophisticated strap made from similar material as a football that gives an amazing look and feel of quality perfection. 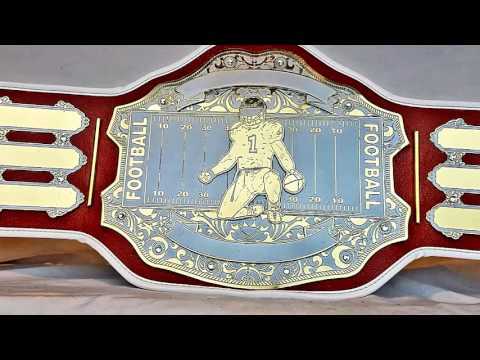 Contact a ProAmBelt rep to discuss customizing name plates and center plates for the number one fantasy football championship belt around. The METAL centerplate is about 11"x11" , and we designed and manufactured the football player with the top/bottom banner to have a 3D look with layers of cut metal, check out some of the videos.